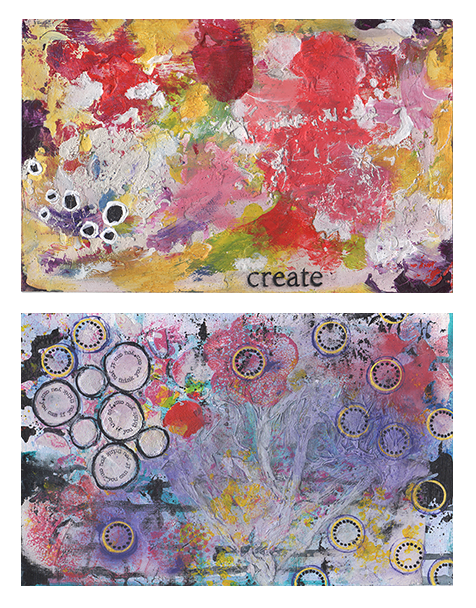 I have steadily been finishing up pages for my Create Art with Abandon journal. Here are 2 more to be added. These pages begin as left over pain while working on other art. Whatever paint is left on the brush just gets wiped onto these watercolor pages, dried, then stowed away until the next. After a while I take them out and put finishing touches on them.